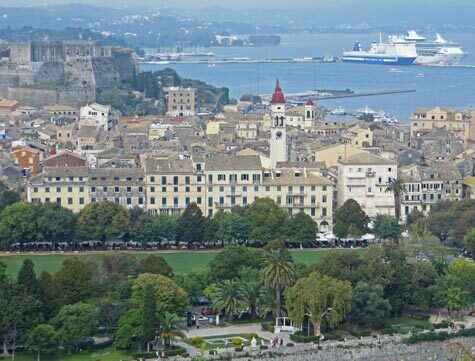 Famous landmarks on the Island of Corfu are the Corfu Esplanade, Town Hall, Saints' Palace, cathedrals and two large fortresses. Other top tourist attractions include St. George Church, the Seaside Promenade and numerous shopping and dining destinations. Top museums on the island are the Archaeological Museum, Asian Art Museum and the Byzantine Museum. Many visitors to Corfu arrive on large cruise ships or by ferry from the mainland. Comprehensive port information is available. Public transportation services on the island includes the Corfu International Airport (CFU), ferry services and public transit.